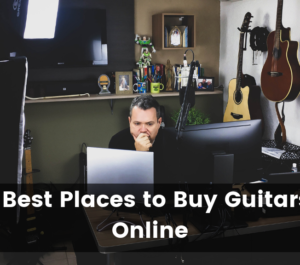 If you’re a guitar enthusiast, then there’s a good chance you’ll have to sell one of your guitars online at some point in your career. Whether you’re graduating from your first guitar or you’re selling one an old guitar from your collection for some extra cash, there will eventually be a day where you need to sell. When that day comes, you will need to know how to ship a guitar properly to ensure the guitar makes it safely to its destination. If you’re shipping a guitar for the first time and have no idea where to start, then you’re in the right place. 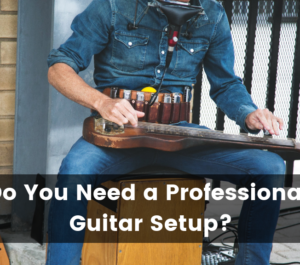 In this article, you’ll learn everything you need to know about how to ship a guitar including how to pack a guitar safely, how much it costs to ship a guitar and my best tips for newbies who have never sent a guitar in the mail before. When it comes to shipping a guitar safely, there are several precautions you should take before you even put your guitar in its case, let alone packing it up in a box. The first thing you should do is loosen your strings. Detune your strings about one or two full steps down to reduce the amount of tension exerted on the guitar neck. If you don’t loosen your strings first, it could cause the neck of the guitar to warp when you factor in the movement and varying weather conditions in transit. The headstock is a delicate part of the guitar. This is because it holds the tuners in place, and without them, you have no guitar. So what do you do to protect it? Use a bubble wrap to cover it and secure the tuners. The idea is to have a soft sponge that can absorb the shock that it might be subjected to while in transit. It is very important to make sure there are no moving parts packed in the same component as your guitar. These could include tremolo arms, Allen keys, capos, cables, etc. Since your guitar will be moving a lot in transit, you want to make sure none of these metal components are brushing up against your guitar because it could leave serious scratches in the finish. Make sure all of these tools are placed in a separate component or pocket of your case before your pack your guitar. You don’t have to be fancy; a piece of cloth or strips of a newspaper will get the job done. This is simply to protect the strings from brushing up against the fretboard when the road gets bumpy during transit. 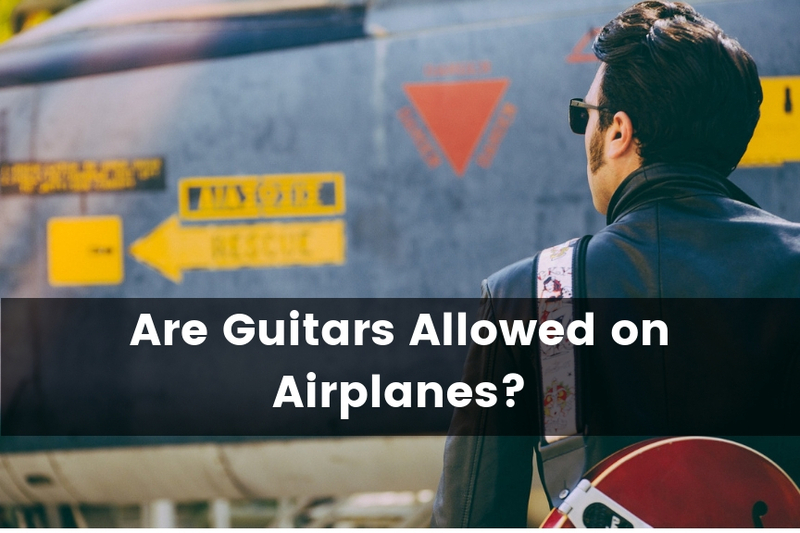 After you have addressed the internal safety concerns, you should use the right guitar casing to protect it from the likely external risks that could occur while on transit. I would typically recommend not using a gig bag. While they’re lighter and easier to pack, and will prevent scratches, they simply don’t offer enough protection. In reality, shipping services don’t treat your packages delicately. 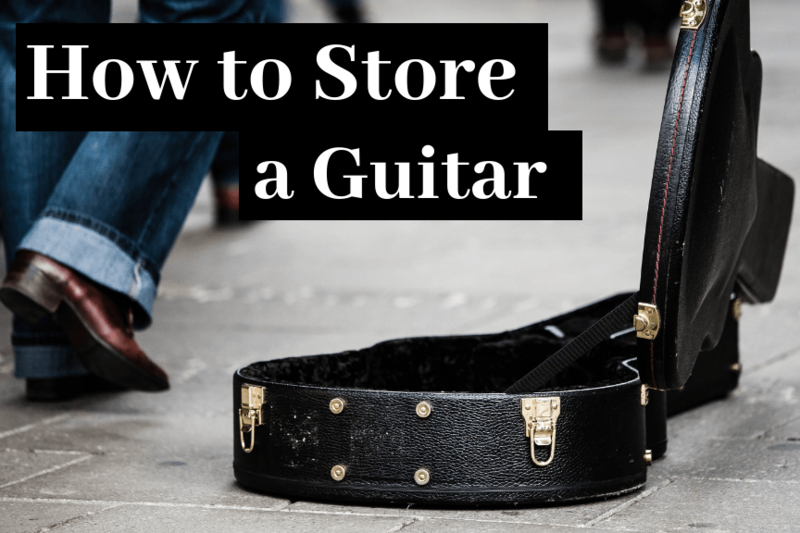 Your guitar box will probably be thrown around in and out of trucks, so you want to make sure that you’re doing everything you can to protect your guitar. While gig bags can work, I would still rather use a proper hardshell case the peace of mind. From my experience, I would highly recommend purchasing an SKB case on Amazon for the best protection. If you’re on a bit of a tighter budget, I’ve had good success with Gator cases as well. Just make sure you find one that fits the body of your guitar properly. If you’re using a rectangular universal guitar case, then there may still some empty space between the guitar and the case. If this space is left unfilled, your guitar is likely to sway around and get damaged in the process. You should use either bubble wrap or paper to tightly fill in this space to ensure there is minimal movement while the guitar is in its case. After you fill the spaces, conduct an inspection by shaking the case gently to ensure that the guitar is not moving. The next step is to pack your guitar in the box and attach your shipping label. There are dedicated boxes designed for shipping guitars that you can purchase, so it makes it easy to track the dimensions. You can find boxes for shipping guitars here on Amazon. These boxes should fit even if you are using a hard shell case. Once you put your guitar in the box, make sure you fill up any empty space to eliminate movement. You can use either bubble wrap or packing paper. When you shake the box, you should head absolutely no movement at all. Packing is just one of the most important steps towards the process of shipping a guitar safely. Nonetheless, more is needed to complete the entire process. Here are some of the tips that could help you along the way. Rules and regulations can make a huge difference in shipping, either in your favor or the courier’s favor. For this reason, you should read the couriers rules and regulations carefully, especially on the most essential aspects of the process. Make sure that you understand their policy on goods damaged while in transit, more so, for the delicate packages, which is the kind of category your guitar is likely to belong to. If you don’t like their policies, you can always go to another courier who offers services that are compatible with your guitar shipping needs. 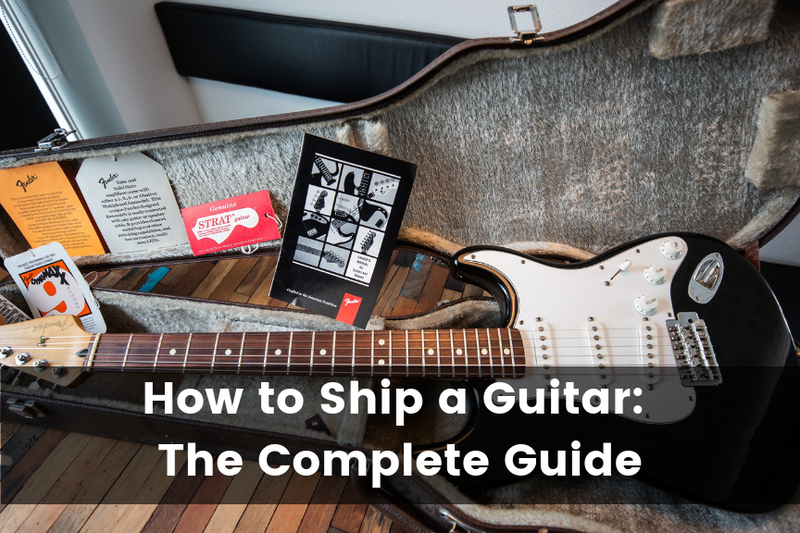 This will help you avoid getting embroiled in a tug of war with the shipping company in case your guitar is damaged while in transit. Some guitars are pricey and precious gifts from loved ones. It could be that your guitar was autographed by one of your favorite musicians. In short, there is a reason why you value your guitar. It is for this reason that it’s crucial that you check the kind of insurance that your preferred courier uses. In case it is not satisfactory, you can choose to get a customized insurance cover. If you have a cover for your valuables already, make a call to your provider to see whether your instrument is covered. 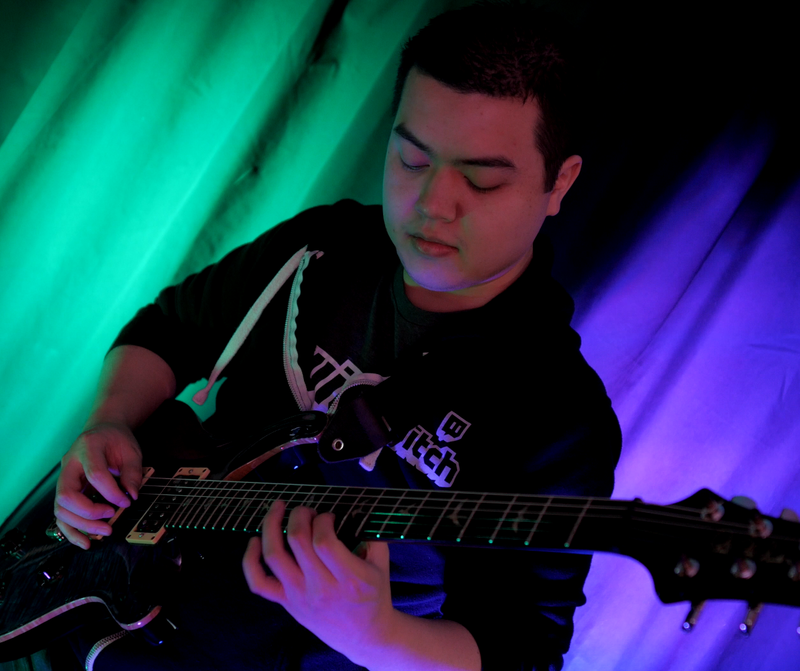 Sometimes, your guitar might be time bound. It could be that you are performing somewhere and need your guitar to be shipped in good time so that you can use it. If it doesn’t reach your destination on time, you will need to look for an alternative. Also, you definitely don’t want your valuable piece to be disturbed throughout the process. A shipping company that offers delivery tracking will keep you posted on the movement of your guitar. If you notice anything wrong, you can always intervene and streamline the issue. Most importantly, a notification will be sent out to you upon delivery. When you’re shipping your guitar through a courier there will usually be an option to require a signature from the recipient upon delivery. There may be a small fee, but it’s worth every penny. Since guitars are usually expensive and delicate items, it will give you the peace of mind that it gets delivered safely. In addition, because guitars come in large boxes, they are clearly visible at someone’s front door. This means there is a higher chance of it getting stolen. In the event that the item doesn’t make it to the recipient’s door, they will be reimbursed and you have no guitar. It’s honestly not worth the risk. Specialty courier services tend to combine all the safety measures into one service product. If the guitar is of high value, then you should definitely opt for this service. This service alleviates almost all the safety concerns as your guitar is adequately covered by the courier’s insurance and you are provided with tracking. In my opinion, it’s worth it for the peace of mind alone. If you want to ship a guitar overseas, it can get a little complicated. This is especially true because guitars are made out of wood, which can cause some issues in customs. However, if you’re careful and follow all of the procedures and regulations by the book, you should have no issues. Shipping guitars internationally are actually quite common because China and Indonesia are huge guitar manufacturing countries. The first step is to find a courier that ships to the country where you would like to send your guitar. If it’s a country that most companies ship to, you will want to compare the shipping charges, as well as the international rates. You should, however, exercise caution while shipping guitars made from various restricted materials such as ivory and tortoise shells. These kinds of materials may require special permits in different countries. Taxes and clearing fees are also applicable, especially if you are the one selling the guitar. Luckily, the shipping company that you will choose will help you out with the shipping requirements in such cases. One thing to note is that if you’re selling a guitar to an international buyer and the guitar has to go through customs, the buyer is the one who has to pay the customs fees. On average, shipping a guitar with a hard case will cost between $100- $150. If you’re shipping your guitar in a gig bag, it will usually cost about $80 since the package will be much lighter. However, there are several factors that you also have to consider when shipping a guitar that could affect the price. The distance you intend to move your guitar has a huge effect on how much it costs to ship. If you’re shipping within the same state, it can cost as little as $40. However, if you’re shipping across the country or internationally, you’ll be looking at $150 or more. The kind of courier services that you choose when shipping your guitar is a significant factor to consider while evaluating the entire cost. For example, if you don’t have your own box, or do not feel comfortable packing the guitar yourself, you can always have your courier pack it for you. However, it could add anywhere from $20- $80 to the cost due to the size of the guitar. If you’re shipping an expensive guitar that is valued at over $2000, then you’re probably going to want to make sure it properly insured. This can add to the cost depending on which courier you’re shipping through. The cost of the shipping the guitar will vary based on the size and weight of the package. For example, electric guitars are usually heavier than acoustic guitars since they are solid body, rather than hollow body, so this could potentially add to the cost. Also, depending on whether you’re using a gig bad versus a hard shell case can make a significant difference as well. On average, a guitar in a gig bag will weigh anywhere from 9-12 pounds. When you include the weight of the cardboard box that the guitar is shipping in, you’re looking at 16-20 pounds for the package. On the other hand, a guitar in a hardshell case can weigh up to 20 pounds or more, meaning your total package weight could be up to 25 pounds. You can use a shipping calculator through your preferred shipping company to figure out how much it can cost to ship your guitar. Packing is an integral part of shipping when it comes to cost. If you want to cut the cost of shipping your guitar, you can try calling your local guitar store and request them to give you an empty box (they’ll give you one if they usually throw them away). You could even ask whether they have a bubble wrap. With these, you can pack your guitar safely, and at no cost! After you have successfully packed your guitar, find the cheapest courier service. However, it’s always wise to be wary as sometimes cheap can turn out to be expensive. In case you know someone who works at a local warehouse or shipping store, you can talk to them to help you out with the process. This way, you can end up paying less than you normally would. Remember, the cheapest way to ship a guitar will always depend on the resources that are available to you. Note that, it’s better to do it yourself than have it done for you by a shipping service as they usually charge a packaging fee, which may end up making the process more expensive. At the end of the day, there really isn’t a clear cut best shipping company that is significantly cheaper than another. It all really comes down the size and weight of the package you’re shipping as well as how far you’re shipping it. Shipping a guitar can definitely be a hassle, but if you follow all of the necessary procedures, then everything should run smooth. Hopefully, this guide will help you to maintain the right safety standards to ensure that your guitar reaches its destination in a pristine condition. Good luck with shipping your guitar!